It’s Christmas, and this year Emily Halliday is trying something new at the struggling revival movie theater she runs for her great-grandmother. After all, how many times can you show It’s a Wonderful Life? Emily was hoping to make a little profit on “Holiday Hijinks,” her “counter-programming Christmas” event. What she never expected—plot twist—is that an unexpected guest will turn her own life into a romantic comedy. Holiday Hijinks is the first in a new series of cozy romances set in the small Pacific Northwest town of Silver Birch, Washington. 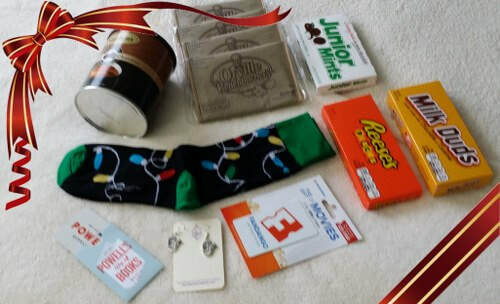 A short read (15K) for a busy time, Holiday Hijinks introduces a whole new cast of characters while bringing back “cameos” from the “Meredith Manor Hotel” books, which are also set in Silver Birch. 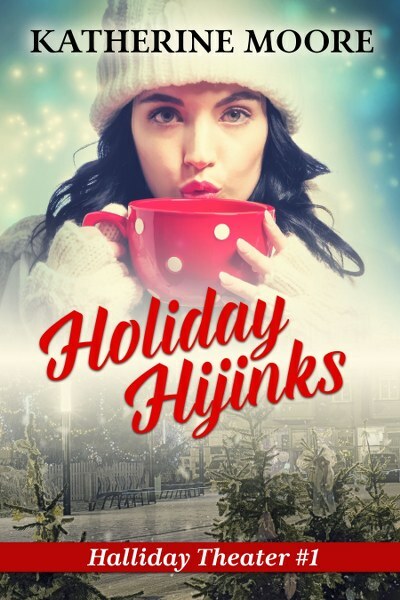 If you love movies and food and romance as cozy as flannel jammies, Holiday Hijinks is the Christmas read for you. Born in Washington, D.C., Katherine Moore now lives in a small Pacific Northwest town very much like Silver Birch. 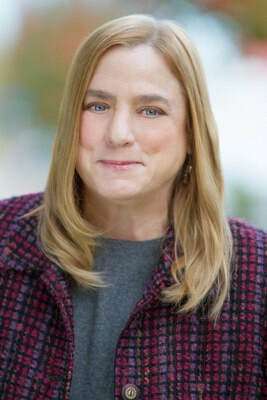 She has worked as a food writer, a caterer, and a movie extra as well as a freelance lifestyle reporter and staff writer for magazines in Honolulu, Los Angeles, and Richmond, Virginia.